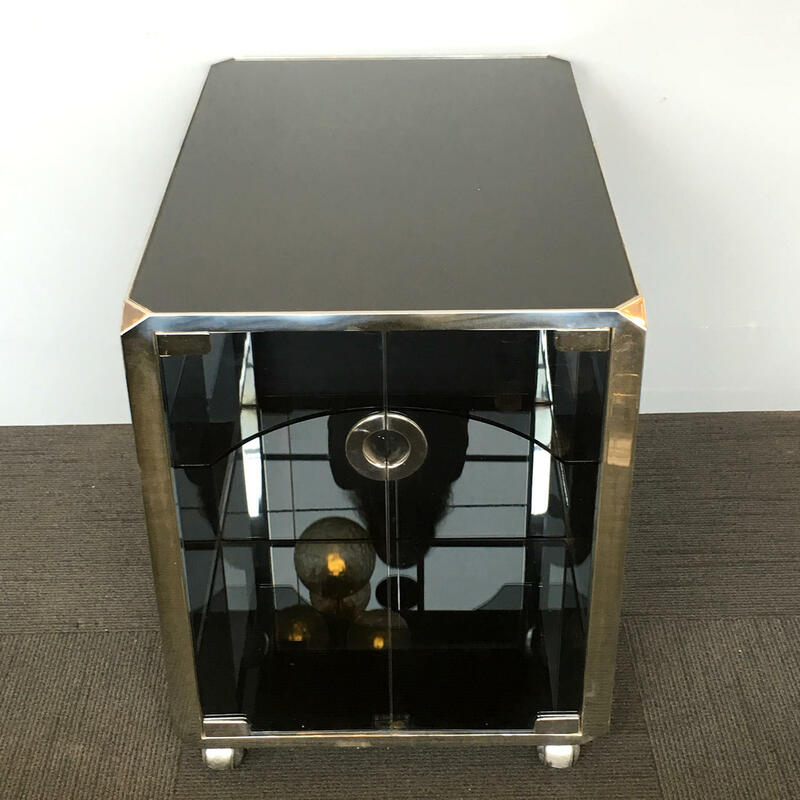 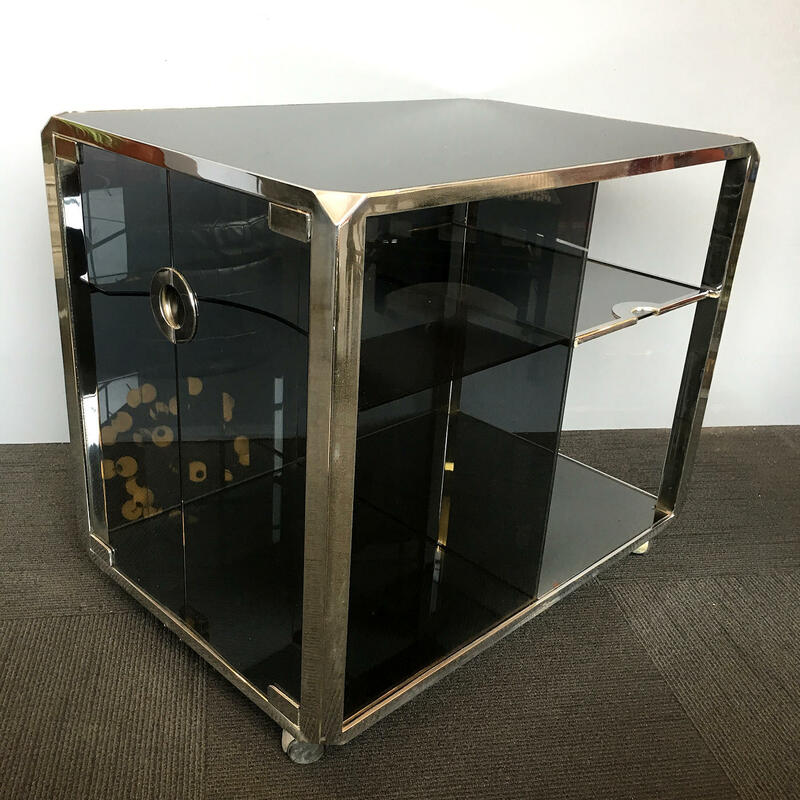 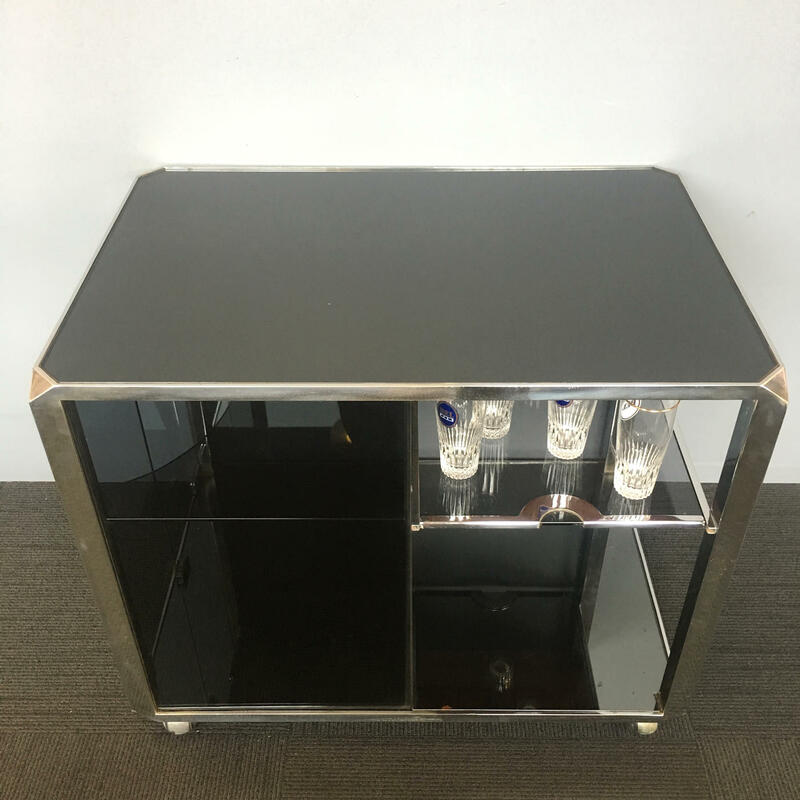 This is a terrific 1970s drinks trolley or bar cart by the Italian designer Willy Rizzo. 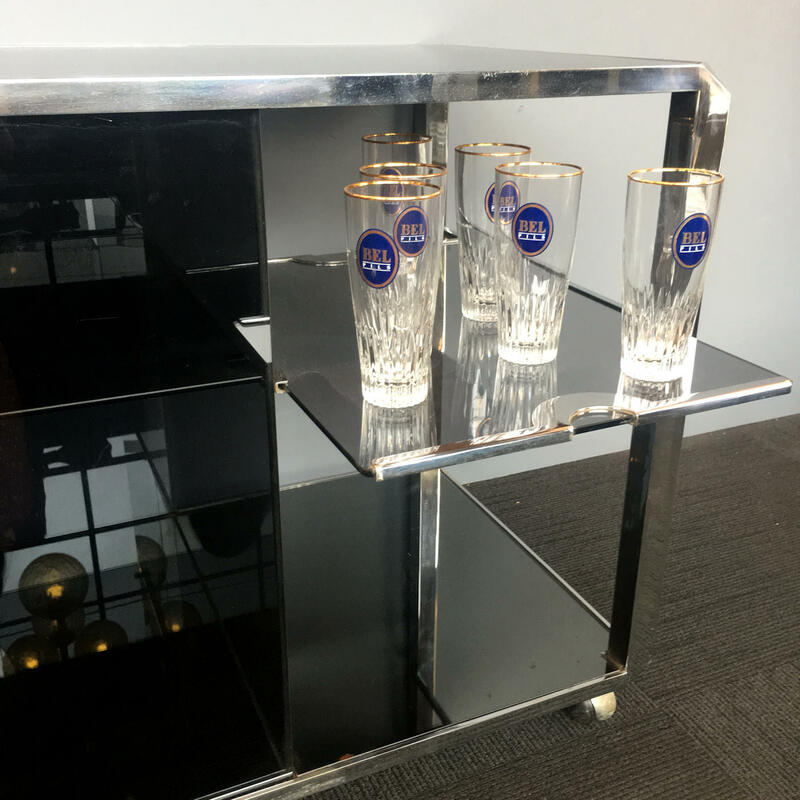 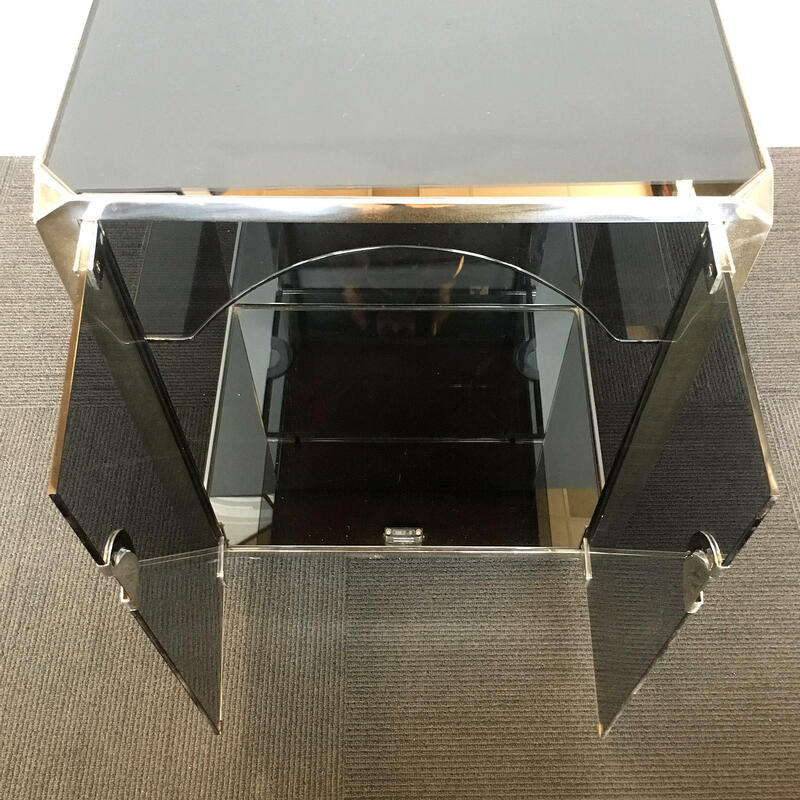 In a sleek combination of chrome plate and smokey glass the trolley offers excellent storage. 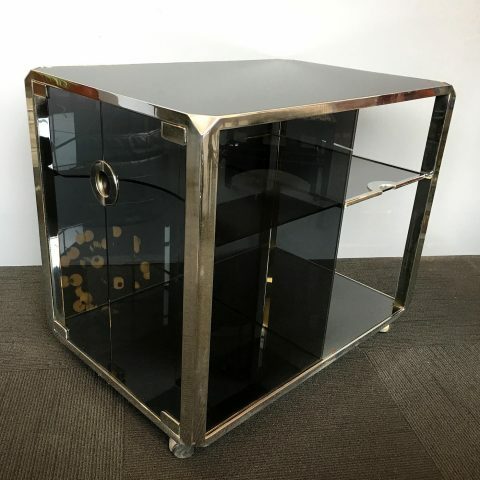 54cm Wide, 80cm Long, 69cm High.